I took these back in 2006. Today, my world (and much of the rest of the world) is black-and-white. I took some nice photos of the snow on my walk to work today, which was beautiful, but I didn't bring my camera cord so I couldn't upload them. However, it is March now, and I am ready for some spring colors! I know it's still kind of early, but in the meantime I have old photos to warm me up. PS. It's March already! I will try get back to posting more regularly soon! I seriously cant believe its March already. In Denver, the trees are still dead but...BUT... it is going to be 74 today. Wow, March. Actually, it's not that hard to believe here, since it's been pretty nice. I love all the pretty colors. ahh I'm jealous of you people in warm places. Actually, it's supposed to go from 30 deg to 70 deg this week, so I can't complain too much! it out and hang it up in my apartment...when I one day have one! 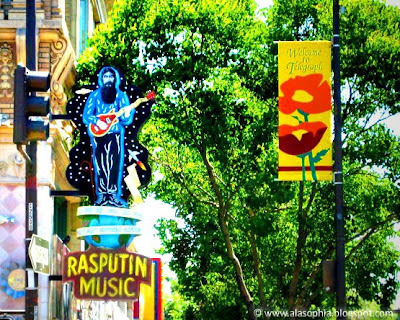 Is that Rasputin in Berkeley? 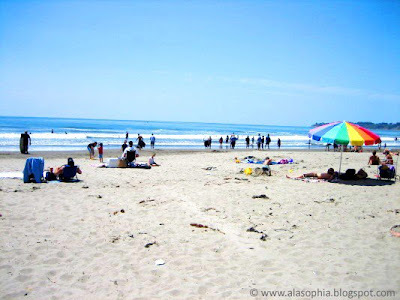 I miss living up in Berkeley! Are you in the Bay Area now? I've been living in L.A. for a little over a year now (where I was born) and it seems so much has changed in the bay.